Federal Polytechnic Ede, EDEPOLY registration procedure for the newly admitted and returning ND (FT, PT & DPT) and HND (FT) students for the 2018/2019 academic session. The management of the Federal Polytechnic Ede, Osun State, has released the registration procedure for the fresh and returning National Diploma (Full-time, Part-Time & Daily Part-Time) and Higher National Diploma (Full-time) students for the 2018/2019 academic session. See also: Federal Polytechnic Ede School Fees Schedule and Federal Poly Ede Academic Calendar. Federal Polytechnic Ede Registration Procedure. Federal Polytechnic Ede Fresh Students Registration Procedure. After payment, return to the polytechnic portal and login with your JambNo or FormNo Your payment would have reflected on the portal, if not click on payment history and click requery for the specified transaction. NOTE: DO NOT PROCEED TO PAY SCHOOL FEES IF YOU DO NOT HAVE THE O’LEVEL REQUIREMENTS FOR THE SPECIFIED COURSE YOU WERE ADMITTED FOR. All these documents printed must be duly signed by appropriate officers and return it back to school office for final submission. 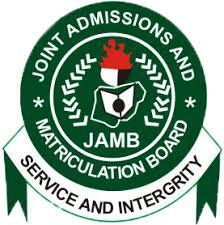 Full time Students are expected to print Jamb Admission Letter and make appropriate number of copies for submission. Federal Polytechnic Ede Returning Students Registration Procedure. Returning students are expected to check their last semester result on the Polytechnic Portal to confirm their status. Log in with your Matric Number for both the username and Password, this can be changed immediately you log in. Take this number to any bank branch and make payment After payment, return to the polytechnic portal and re login with your details Your payment would have reflected on the portal, if not click on payment history and click requery for the specified transaction. All these document printed must be duly signed by appropriate officers and return it back to school office for final submission. NOTE: Confirm the Official Approved School Fees from the School Portal before Making Payment.